Key West is one city that definitely LOVES animals, especially dogs! Often when people visit Key West, they wonder where their precious pup may be allowed. We understand the struggle of finding pet friendly establishments. Searching high and low we were able to come up with a nice list of restaurants, parks and other fun places your little fury friend can visit along with you! Dine al fresco under canopies of tropical foilage with your pup at Blue Heaven in Key West! Parking is limited here so the restuarant recommends walking or biking. Your dog will love taking a morning stroll with you before grabbing a great breakfast, or Caribbean inspired seafood lunch and dinner. There are roosters and chickens roaming around so there is a little entertainment for your loving doggy. Enjoy ocean views and a full wine bar at Louie's Backyard restaurant. Dogs are allowed in the bar area and not to mention a little beach that site right next door. 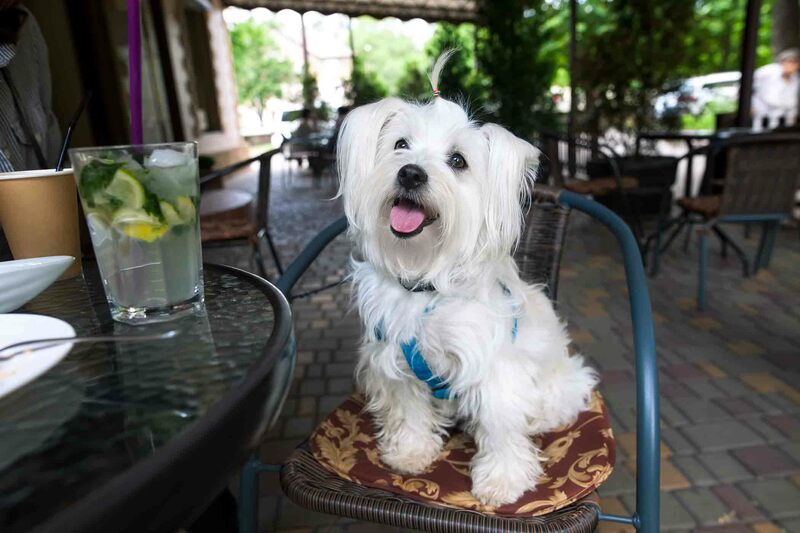 Enjoy some Caribbean-American cuisine at this elegant eatery and take your pup for a quick swim to cool off afterwards! This open-air Key West restaurant is a little slice of heaven - and they allow dogs! Well known for their excellence in seafood and their hogfish sandwich, the Hogfish Bar & Grill is the perfect spot for a fresh lunch or dinner. Your pup will enjoy the fresh breeze as you both take in panoramic waterfront views from under a covered patio. Located right on Higgs Beach in Key West is a funky open-air restaurant that adores dogs. Bring your dog Salute for delicious Italian prepared dishes with an island twist for lunch or dinner. Salute is a sister restaurant of Blue Heaven, so if you enjoyed either restaurant you'll have to check the other out. 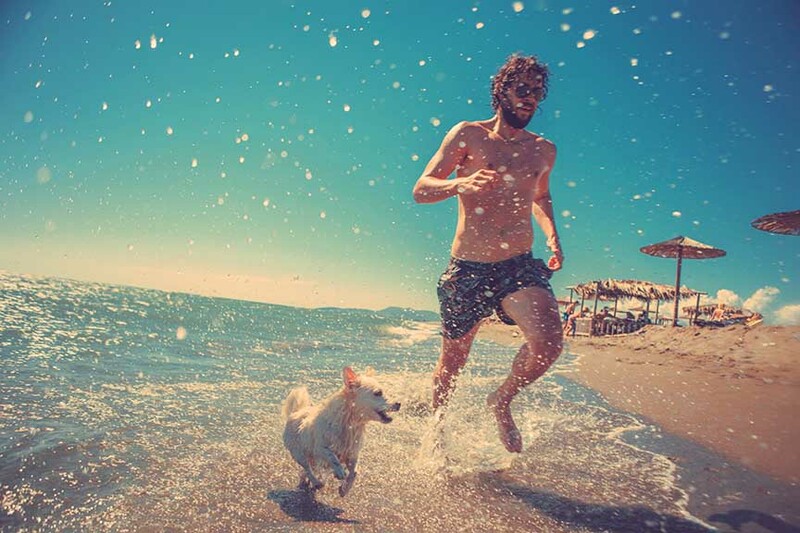 Edward B. Knight Pier is the perfect leisurely activity for you and your favorite pup! The pier doesn't have attractions like restaurants or rides on it, but if offers spectacular views and the water surrounding it is shallow, so no need to worry about Fido being swept away. Edward B. Knight Pier is a little less crowded than many of Key West's main streets, so there is usually plenty of room for your pup to run around. The Higgs Beach Dog Park offers two different fenced open spaces for pups to play in. One side is for dogs under 25 lbs, and the other side welcomes pups of all sizes. There are watering stations for the pups and plenty of shade for the humans. You'll find a lot of locals go to the Higgs Beach Dog Park regularly and the under 25 lbs side is usually pretty popular. Beware that near the treeline is where the toads like to hangout, which can be harmful to your pup, so keep an eye on them. Small dogs that can be carried are welcome to join their owners at the Key West Shipwreck Treasure Museum. Here, you'll learn the fascinating history of over 400 years of shipwreck salvage in the Florida Keys. There are actual artifacts from the 1985 discovery of the Isaac Allerton vessel, which sank in 1856. Whether your pup is an Instagram star in need of some fresh pics, or they just love smelling the daisies, the Key West Tropical Forest & Botanical Garden will be a treat! On a leash, your pet can explore the beautiful trails here with you. You'll both love seeing the flowers, palms, shrubs, butterflies, birds and more. Better yet, you'll be contributing to a cause that is working to protect the Florida Keys ecosystem. If your pup is pretty calm around unusual animals and objects, you might enjoy a day at the aquarium together! Your dog is welcome to join you on your journey through the aquarium so long as they are on leash. The jellyfish exhibit is an absolute favorite and you'll also have the chance to see sharks, sting rays, lobsters, turtles and more. With a name like Lazy Dog, you might have guessed this adventure company will love your pup as much as you do. We saved Lazy Dog for last, because it is a Key West favorite! 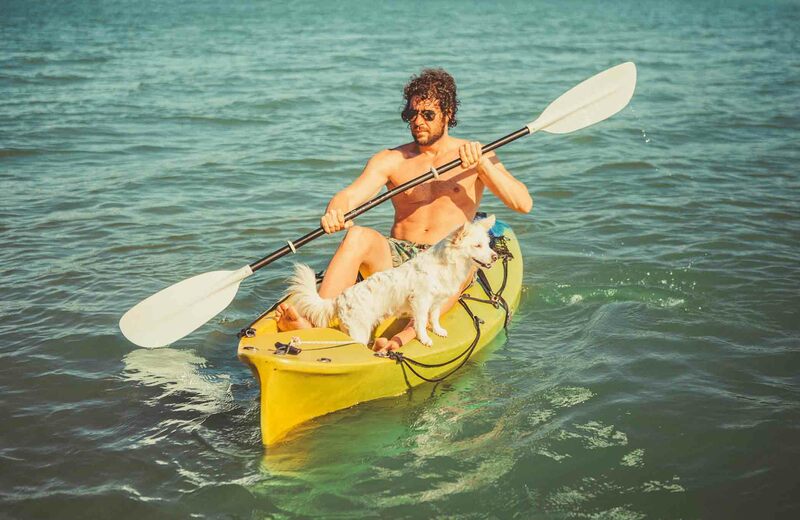 Bring your precious pup along on a paddleboard or kayak trip with Lazy Dog Charters in Key West. You can go for just a few hours or book a weekend retreat. As you can see your fury family member can enjoy this great island just as much as you! Start planning your trip to Key West now by booking your vacation home with At Home in Key West.